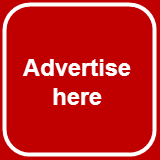 Most of my readers probably know, that apart from this blog, I also run Buy Linux CDs site. You can order CDs with Linux distributions there, and they will be sent to anywhere in the world. There are not a lot of orders, I must admit. But sometimes I do get orders. A recent one was very interesting for me, because it allowed me to come back to my old friend, and see how it has changed in the last few months. So, an order came from the Buy Linux CDs site. This order was for the Puppy Linux disk. Because I have not tried Puppy for quite a long time now, I decided to use the CD for my own review as well. The latest current version of Puppy Linux is 5.3.1, and it was released on the 25th of October 2011. This is the Puppy Slacko version, which tells you that the roots of this Puppy are in Slackware. I believe this is different from Puppy I have used before, because it was previously based on Lucid Lynx version of Ubuntu, hence it was named Lucid Puppy. The ISO image size for Puppy remained very small. The core system is only has 136 Mb in size. It is easy to download from one of the many mirrors. When the CD was ready, it was time for me to start the review. Reboot my Fujitsu-Siemens Amilo Pi 1505 laptop. Choose to boot from CD. Let's go! The only question which a user sees when Puppy Linux boots up is an option to enter the boot parameters. If you don't touch the keyboard for 5 seconds, then system starts with the default options. That is what I did. System boot time was more than I expected, even for a CD-based system. The fact is that the whole ISO image is copied to RAM. You can eject disk from the CD-ROM drive later, and use Puppy without it. This feature, for example, allows you to watch a DVD or listen to a CD. Or use the optical disk drive for any other business or home purpose. Finally, after about a minute of waiting, I got to the default Puppy desktop. The default wallpaper in Puppy Slacko 5.3.1 is in black colours, with Puppy logo on it. There is also a spectrum of light beam. The wallpaper was definitely inspired by the cover of Pink Floyd's album The Dark Side of the Moon. There is a choice between half a dozen of other wallpapers, which are available through the menu X Desktop - Nathan Wallpaper Setter. There are quite a few icons on the desktop. These are links to all available partitions, launchers for the browser, mail client, file manager, text and graphic editors and many other applications. They are all on the desktop, so you don’t need to go through the menu to start them. This is a good decision, from my point of view, because the menu in Puppy Linux is very rich. It is difficult sometimes to find the application you need, when there are too many items listed. The panel is at the bottom of the screen. The bottom-left corner is occupied by the Menu button, which has Puppy logo on it. Show Desktop button sits between the Menu button and the switch between two virtual desktops. The main part of the panel is taken by the taskbar. As usual, the right part of the panel is the notification area. Apart from the usual items like battery monitor, volume control, clocks and network manager, there are three Puppy-specific items, which are not usual for most Linux distributions. They are: firewall configuration and status, CPU monitor and Save File status icon. The last mentioned item is important for those who run Puppy with persistence option. Yes, Puppy Linux can save data on the hard disk, and then re-use it in the next session. In order to do so, you need to create a persistence file on your hard disk using the special Puppy tools. Puppy will automatically find the file during the next boot. I have not tried persistence in Puppy 5.3.1, but it worked perfectly for me in Lucid Puppy. I have no reason to suspect that anything could go wrong here. Puppy Slacko 5.3.1 uses JWM window manager by default. There is Linux kernel 2.6.37.6, which is far from the latest available, I believe. Once Puppy booted itself, it started to throw questions at me. I can say that these questions are quite important, though some of them could be automatically answered within the startup scripts. First configuration window, which I got, was about the X-server configuration: screen resolution and colour depth, system language, keyboard layout, time zone etc. Once I answered these questions, Puppy asked me to restart the X-server, in order for the settings to take effect. The restart literally took a coupe of seconds, and was not a big problem. The next dialogue window was about further configuration options. The most important question here was about the network connection. Puppy offers several wizards here. I used the most basic one, written by BarryK, the author of Puppy, himself. It worked well for me. The script automatically scanned the wireless networks, found my home network and asked me for the password. However, it did not detect the type of security automatically, so I had to select from the proposed options. You can understand from here that Puppy Slacko 5.3.1 includes the necessary firmware drivers for my Intel 3945 ABG wireless card. Another important configuration utility was the keyboard and touchpad configuration. The process of adding the layouts to the system was an easy task. I think it has become slightly simpler than in previous versions of Puppy. Earlier, I had to select the active layout in order to select a variant of the layout. Now Puppy offers list of available variants for all active layouts, and then attaches it to the relevant layout. For example, there are several variants for Russian keyboard layout: DOS, Winkeys, Osetian and so on. Winkeys is the one used on most keyboards nowadays. Puppy gave me the list of those variants, and when I selected Winkeys, it was automatically attached to the Russian keyboard layout. Ctrl-Shift hotkey was also configured through the list of available configuration options, and it worked absolutely fine for me. Puppy Linux understood Control+Shift combination, not Shift+Control as I saw in OpenBox based distributions. The touchpad configuration is also available in Puppy Linux. I activated both tapping and edge scrolling, but only scrolling worked for me. I could only use hardware buttons to "click" on my touchpad. That is a small defect, as I see it. There are a good dozen, if not more, of other clever wizards, which can help you in different aspects of the Puppy configuration: CUPS and firewall, ALSA and locale, and whatnot. When using Puppy Linux, in order to mount and unmount existing partitions on the hard drive, you can either click on the relevant desktop icons, or use the PMount utility. This utility worked well for both NTFS and Ext2 partitions of my hard drive, and even Russian characters on NTFS partition were shown fine. As for the network partitions, the Pnethood utility in the Network part of the menu is dedicated to this task. Unfortunately, this application did not work for me. It did not find my external network drive after the scanning. That's why I had to revert to manual mounting. The usual command mount -t cifs //server/partition /mountingpoint -o guest,nolinux,iocharset=utf8 worked well for me. I was able to browse my external partition, and Russian names were also OK.
Puppy Slacko 5.3.1 includes all the necessary codecs for MP3 and video files playback. 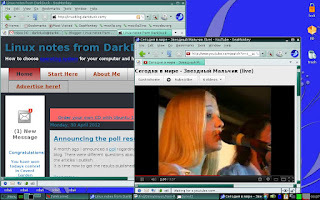 I was able to listen to MP3 files and watch movies from both my local and remote partitions, although the default Pmusic player had an issue with showing Russian tags in the MP3 files. As for flash, it is not into in the default distribution of Puppy Linux 5.3.1. But don’t worry! When you first start the SeaMonkey browser, there is another Puppy wizard, which suggests you to install Flash. The installation only takes a few seconds and requires the browser restart, as is always the case for Mozilla-based browsers. I won't list all the applications available Puppy Linux. Even 136 Mb of the distribution size can be well-packed with different programs and utilities. Developers have shown this to all the Puppy users. I'll only highlight here the most important from my point of view. ROX-Filer is the default file manager in Puppy Linux. I am not a big fan of this file manager, honestly. Mostly because it resizes the window for each folder while navigating. This is inconvenient. SeaMonkey 2.5 is the default and the only browser in Puppy Slacko 5.3.1. It has an interface with multiple tabs. I’d like to note that there are no icons for closing tabs. It is only possible to close the tab by right-clicking on it. Geany, Abiword and SeaMonkey HTML editors are all available in Puppy for editing of different types of text. Transmission and gFTP are the file transferring utilities. Apart from previously mentioned PMusic, Puppy also includes CD player and GNOME Mplayer. Midnight commander, unfortunately, is not included in distribution. What if you need more applications? Of course, Puppy can do this! There are at least two mechanisms to do so. PETs are small packages, like .tar.gz, which you can add to your system using the specific wizard. There are lots of available PETs in the official repository, but I am sure you’ll be able to find more in on the Internet. SFS files, which can be attached to your system. They are usually for bigger applications like LibreOffice or OpenOffice. Obviously, SFS files have a different mechanism of attaching them to your system. The number of available SFS packages is less than PETs, but still significant. Some of them are available on the official distribution mirrors, but you are likely to find more available to download somewhere on the forums. Shutting down or going to sleep? When you shut down Puppy Linux for the first time on the PC, the operating system asks you yet another question. This is a question about persistence. You can specify the file location for the storage of the persistence file and its size. If you decided to use this persistence options, then all your changes would be saved. Puppy can find the file during next boot and give you all your files and configurations back. Puppy Linux 5.3.1 is a big change from the earlier version of Puppy. It has even more automated tools and wizards now. At the same time, It is still lightning fast and feature rich, as it was before. The only downside, which I can mention for Puppy Linux, is outdated design of windows, which is caused by usage of a quite basic window manager. To help you with the little bit dull default outlook, there are sets of themes, which you can download and use. But… There is an obvious trade-off. On one side, there is some eye candy you don’t get in Puppy Linux operating system. On another side, this OS can be used on very low-spec computers, boots quickly and is very flexible. What is more important for you? If you want to try Puppy Linux yourself, and I highly recommend you do so, you can order your own disk with the latest Puppy through the Buy Linux CDs service. The CD will be delivered into your mailbox. Update: while preparing this review, I got the news that Slacko Puppy 5.3.3 was released. Puppy is a great distro for specific purposes. I don't think you would ever use it as your main system but it is great for getting online quickly and for troubleshooting. My favourite use.... Puppy Arcade. Puppy Arcade is a version of Puppy Linux with all the old games emulators pre-installed. Connect it to your TV or Monitor and its just like being back in the 80s/90s. I think there are plenty of people who can disagree with you about the installed version of Puppy. I know there is now a proper installer for it! It was made for purpose, wasn't it? Yes, as opposite to majority of other Linux distros, Puppy is not just a distro, but rather an ideology supported by script which can use almost anything as a base. Puppy Slacko is the default distribution from the Barry-the-leader himself. 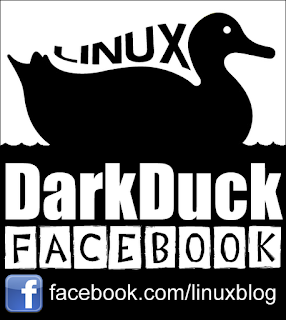 All the others are also good, because use the same approach to distro building. I used Puppy Linux as a full time OS for 6 months a few years ago and it has everything you would would want or need, just use the forum if you get stuck. This is the newest version and I suspect soon more software will become available. Just yesterday I used a Puppy Linus CD to boot up my Sons Computer so I could "borrow" his DVD burner as my laptop one was broken. I was able to burn DVD's from another disk through the live CD. Umpteen times it has saved data from dead in the water Windows installations, It remains a fantastic toolkit and perfect low end OS for that spare laptop or desktop. Agree, Puppy is a good tool when you need to use someone's hardware but don't want to mess up with others' configuration and files. Or, as opposite, when you need to rescue the files. 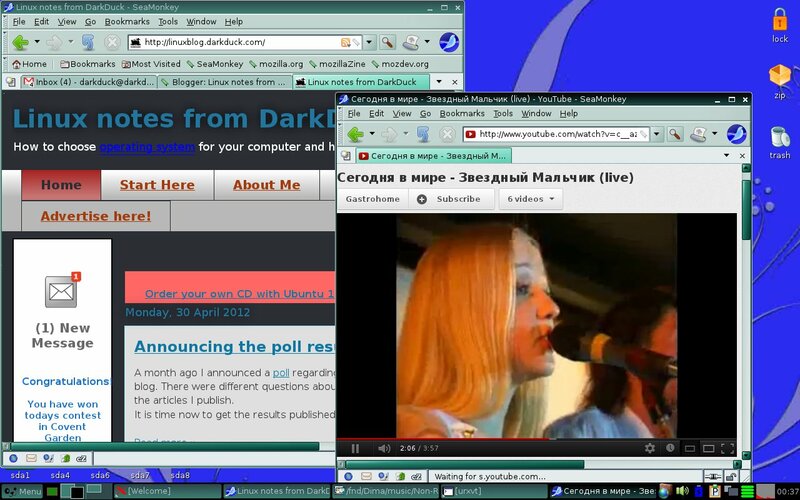 There are plenty of uses for Live Linux OS, both at home and for business. nice overview, Darkduck! just a few comments. "Mostly because it resizes the window for each folder while navigating. This is inconvenient." - This behavior can be changed in your Rox preferences. Another one is about adding software to this specific Slacko version of puppy. You can use standard slackware packages ( .txz and .tgz) as well. Furthermore you can create your own pets from source, with a simple script, which is included in every version of puppy. My opinion is that puppy can be easily used as main distro. It contains apps for almost every task. abiword, gnumeric, geany, mtpaint etc.. all small apps, but once mastered, very powerfull tools. Often people want it all and also want all the big apps, but never really use them. Choice is not always a blessing. Puppy has the size of one big app, but is a complete OS including the apps you need. Plus the performance is almost unbeatable. I run fatdog64 on my sandy bridge laptop (toshiba tecra) And don't want anyhting else. Thanks for valuable additions to the review! The principle is fantastic. I love Puppy. But I don't get Puppy 5.3.3 right on the 8 Gig Team pendrive. What I do, it does not start the PC. Jacko did fine. I'm sorry. It is in Puppy 5.3.3. I have downloaded 5.2.8 and this one is doing fine here on the pendrive! Great distro. Sorry about the joke on Jacko. Mark, have you tried to search for an answer or ask for a solution on a Puppy forum? Individual tabs can be closed simply by clicking the 'X' icon at the right-hand end of the Tab Bar.